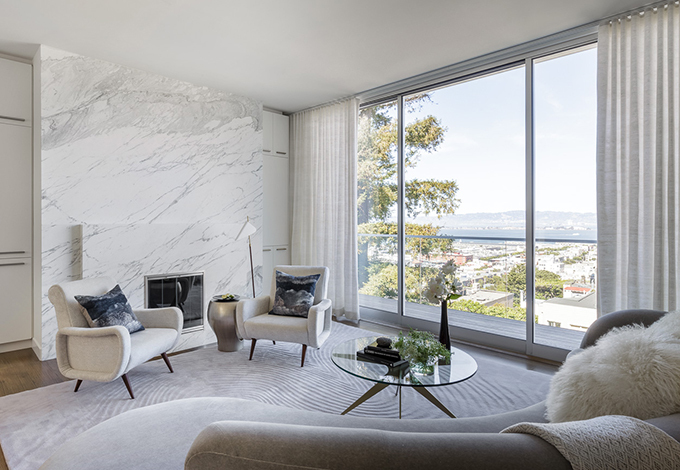 Niche Interiors was enlisted to furnish the interior of this newly constructed 8,000 square foot home with expansive views of the San Francisco Bay. 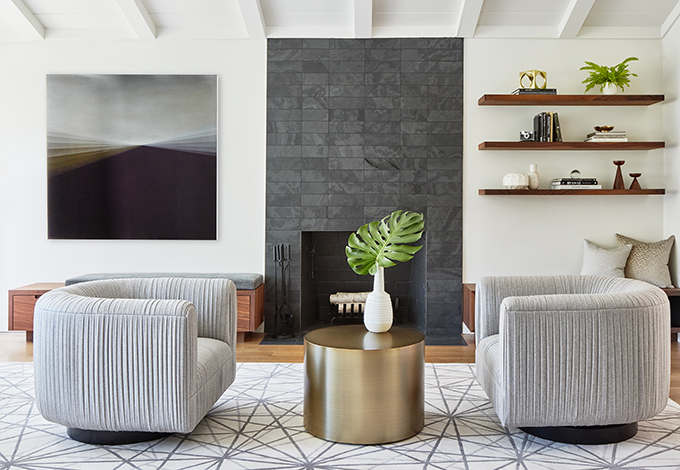 We worked closely with the architects at Lundberg Design to ensure that the furnishings blended seamlessly with the modern architecture and restrained materials. The media room features a wool sectional and a pair of vintage Milo Baughman armchairs reupholstered in a green velvet. All upholstered items were made with natural latex cushions wrapped in organic wool in order to eliminate harmful chemicals for our eco-conscious clients. Vintage mid-century dining chairs are paired with a custom walnut table in the dining room. Steel and glass LED pendants lead your eye into the formal living room which features a Christian Liaigre mohair sofa and Italian armchairs. Niche Interiors designed a cantilevered seat in the living room bay window that maintains the modern and airy feel of the home and takes advantage of the stunning views. They made a super complicated process incredibly simple. Truly amazing. I cannot recommend Niche Interiors more highly!